Home » Blog , Internet , Website Tutorial » Blog is missing - "Error 404: NOT FOUND"
SOmetimes you may get this warning "Error 404: NOT FOUND" when you try to surf a website or blog. Let's read about it further. The 404 Not Found error is an HTTP status code that means that the page you were trying to reach could not be found on the web site's server. Retry the web page by clicking the refresh/reload button or trying the URL from the address bar again. The 404 Not Found error has been known to appear on occasion even if there is no real issue so a simple refresh will often load the page you were looking for. Move up one directory level at a time in the URL until you find something. 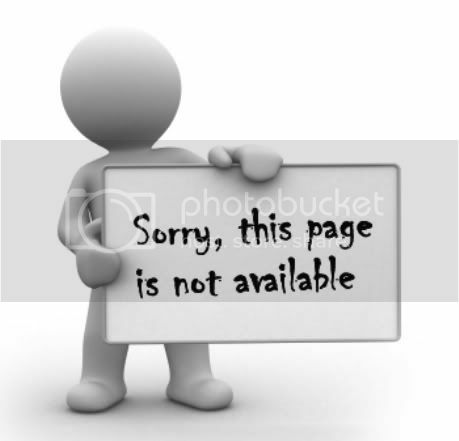 For example, if www.w.com/a/b/c.htm gave you the 404 Not Found error, move up to www.w.com/a/b/. If you get nothing here, move up to www.w.com/a/. This should lead you toward what you're looking for or at least confirm that it's no longer available. If you move all the way up to the website's main page, try to run a search for the information you're looking for. If a search function isn't available, try finding your information by using links from this page to dig deeper into the site. Test the page at downforeveryoneorjustme.com. Just enter the webpage in this online tool and it will tell you just that - if the site is down for everyone, or if the problem is on your end somewhere. Finally, if all else fails, you may want to attempt to contact the webmaster for information on where you might locate the page you're looking for. The webmaster of most Internet sites can be reached via email at webmaster@website.com, replacing website.com with the actual website name.